On Tuesday morning, Feb. 5, the Beardsley Zoo welcomed two young (2-year-old) male Mexican Wolves to join its 11-year-old spayed female. After they were introduced, the boys brought out the puppy in their older companion. They bounced around, ran after one another and seemed to have a great time. Although, during the playtime, the female did not hesitate to put the boys in their place if necessary. NOTE: The nearby female red wolf that reportedly is in heat, ran from one end of her enclosure to the other to check out her handsome new neighbors. 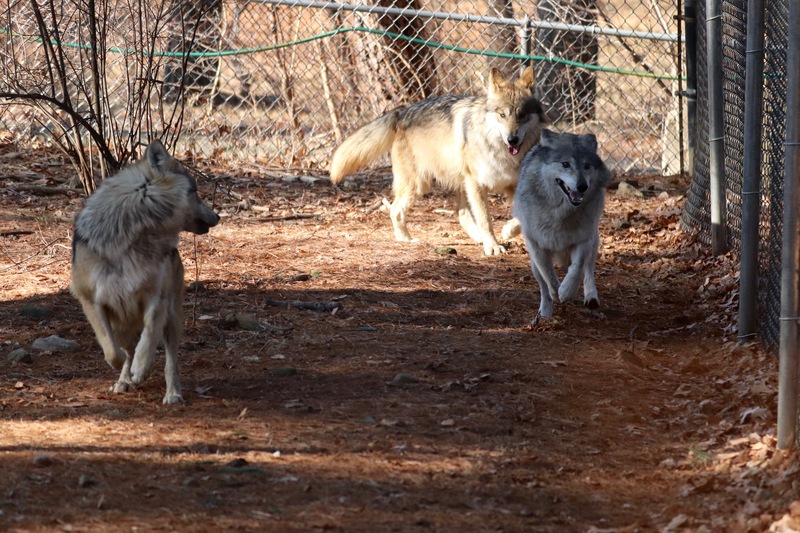 Born on May 13, 2017 at the Endangered Wolf Center of Eureka, Missouri, the brothers arrived on December 6, 2018, and have been in quarantine, required for any new Zoo arrival. The males have now joined the Zoo’s remaining female to begin a small pack. The Zoo lost a second female due to a medically untreatable condition last month. Guests will be able to view the three Mexican Gray wolves between 9:00 a.m. and 4:00 p.m. daily from the W.O.L.F. Cabin (Wolf Observation Learning Facility). As with the female Mexican Gray wolves, the brothers will not be named. This serves to emphasize their wild status, and helps to prevent human/wolf interaction so that a re-introduction to the wild at some point may be possible. No breeding is planned for the new pack, although a Species Survival Plan recommendation may be made in the future. The Species Survival Program (SSP) is an Association of Zoos and Aquariums’ (AZA) breeding and management program designed to preserve the long-term sustainability of animal populations in human care. The existing Mexican gray wolf at Connecticut’s Beardsley Zoo was born in 2007 at the California Wolf Center in Julian, Calif. The Zoo is also home to two Red wolves, one male named Peanut, and one female named Shy. The Mexican gray wolves and the Red wolves are two of the rarest mammals in North America. Both species at one time were completely extinct in the wild. Missing from the landscape for more than 30 years, returning the Mexican gray wolf, or “lobo” to the wild was a significant milestone for wildlife conservation efforts. More than a million wolves were killed in the U.S. between 1850 and 1900. In 1907, a call was made for the extinction of the entire species. Throughout the wolf’s history, they have been hunted and reviled due to fear and misunderstanding. In 1998, The U.S. Fish and Wildlife Service released 11 Mexican gray wolves back into the wild in Arizona and New Mexico, in an effort to restore balance to the Southwest’s ecosystems under the Endangered Species Act. Wolves contribute to the health of the environment by keeping deer, elk and javelina populations in check, preventing these animals from population growth that results in overgrazing and the destruction of habitat that other species depend upon. Come to the Beardsley Zoo, 1875 Noble Ave., Bridgeport, to see these beautiful animals. 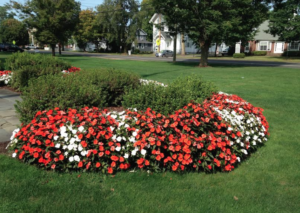 We are so lucky to have this wonderful resource only a few minutes away from Orange. While you’re there, be sure to visit the Amur Tiger sisters, at just over a year old, they are almost as big as their mother. The Red Pandas are enjoying their new habitat, and they are so cute, everyone loves them. When the weather warms up a little more, the prairie dogs will be scampering around, too. Did you know that the Beardsley Zoo has a beautiful carousel and an awesome Victorian Greenhouse? The zoo also offers many volunteer opportunities and hands-on educational programs for children and teens. Get involved and enrich your life and the lives of these precious animals. 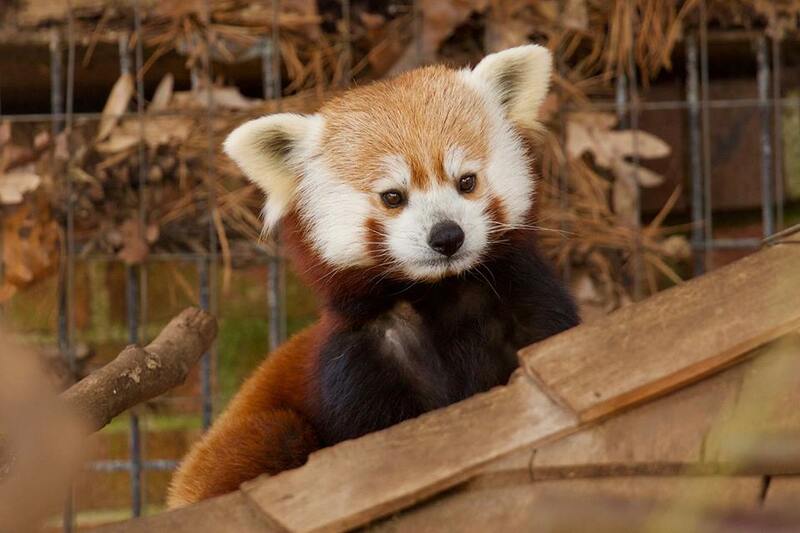 For months frequent visitors of Connecticut’s Beardsley Zoo, 1875 Noble Ave, Bridgeport, have anxiously been awaiting the opening of the new Natt Family Red Panda Habitat. Rochan, the male red panda came to the zoo as a temporary visitor a couple of years ago, but his popularity led to his permanent residence and the addition of a female companion, Meri. A brand new larger habitat with better viewing options for visitors has been constructed on the opposite side of the zoo (they are currently in front of the rainforest building) and will be moving to the isolated curved area where the pronghorn used to be (around the corner from the leopards). The zoo announced today that the grand opening will be on Saturday, Oct. 13, with a ribbon cutting at 10:30 a.m.
Come help celebrate Rochan and Meri’s new home, with paid Zoo admission.